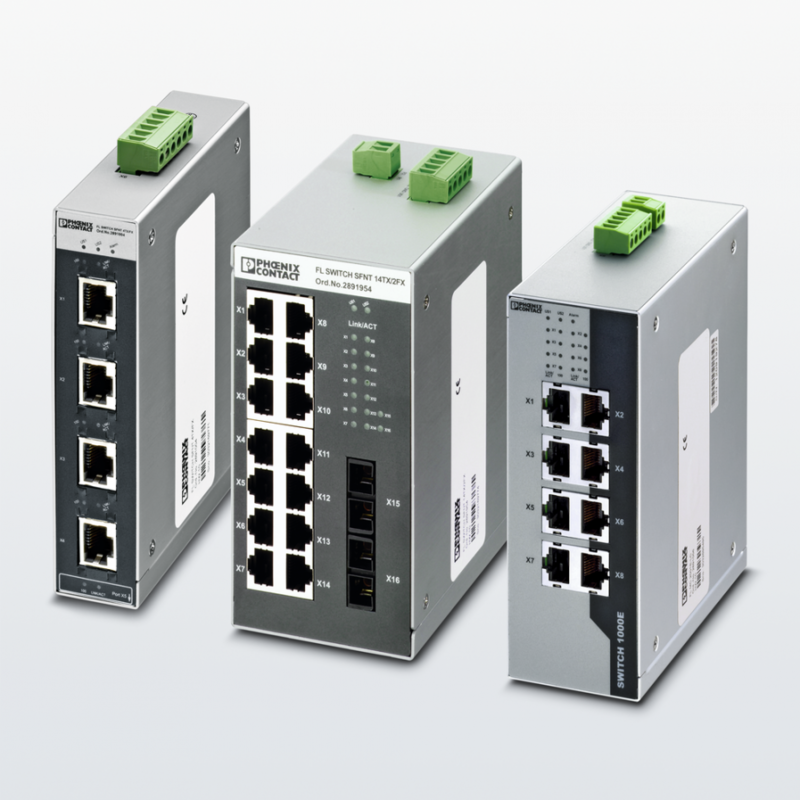 Phoenix Contact develops and manufactures industrial electrical and electronic technology products that power, protect, connect, and automate systems and equipment for a wide range of industries. Phoenix Contact has more than 50 subsidiaries, including Phoenix Contact USA in Harrisburg, Pa., and employs more than 16,500 people around the world, including 800 in the U.S. PACK EXPO is important to Phoenix Contact because our customers are there: While we don’t make packaging machines ourselves our products are used in such machines and the control cabinets surrounding packaging processes. The QUINT DC UPS allows users to understand the health of their application by monitoring power-supply vitals, such as current or voltage, which are passed on by the UPS. Battery-backup shutdown is done via EtherNet/IP network protocol. 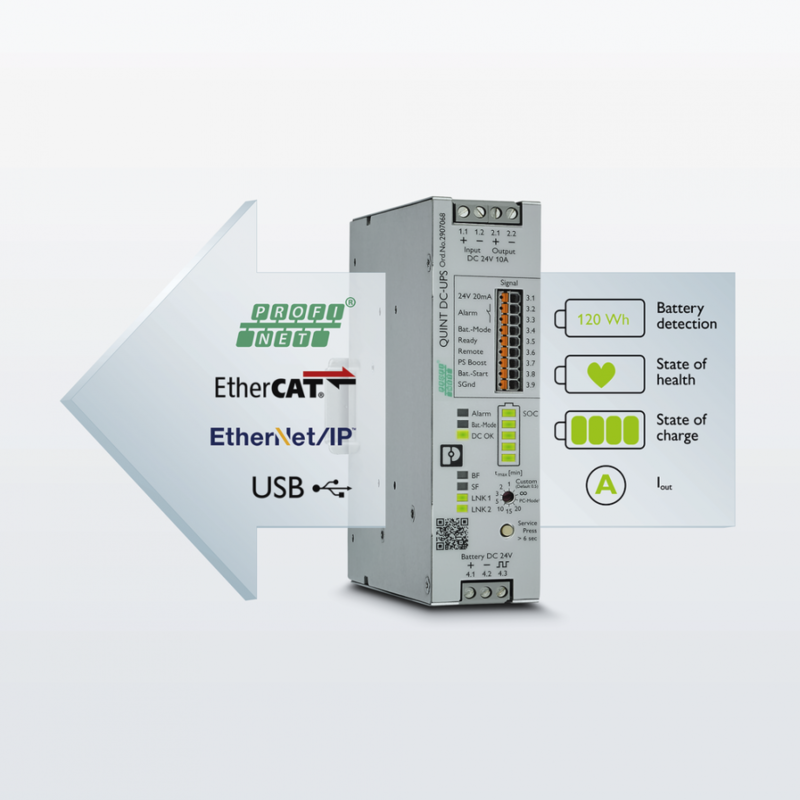 In addition to monitoring the power aspects of the application, battery statistics—charge, remaining backup time, and percent-of-life remaining—can also be analyzed over EtherNet/IP. The SFN Ethernet Switches are suitable for applications requiring a narrow overall width: Available with five, eight or 16 ports The SFN Ethernet Switch Series ensures a compact solution for every requirement including those requiring up to gigabit speeds. Typically, we are most interested in seeing other exhibitors, as they tend to be existing or potential customers. However, we typically try to attend educational sessions if time allows, so we are aware of the trends and issues impacting the market and consequently, our customers. Many of our products are used in development of such “smart” machines. One example is the network-capable DC UPS we are highlighting at PackExpo. In addition, our energy meters and network gateways all play pivotal roles in enabling smarter factories. The future is all about taking information on the floor and getting it into various devices (including mobile) in real-time; essentially the “industrial” internet of things. What will also help drive this need for quicker information is the continued push for energy efficiency. This remains the one last large area of overhead that manufacturers can still reduce.